Agricultural production will have to increase by an estimated 50 percent by 2050 to meet the needs of a growing population. About 2 billion adults are overweight. Of these over 650 million are obese. 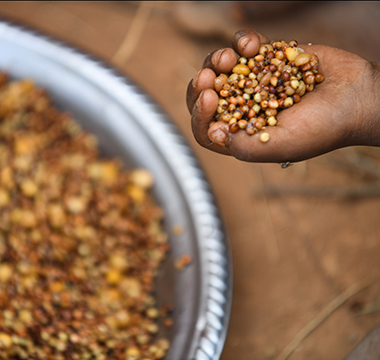 821 million people go hungry. 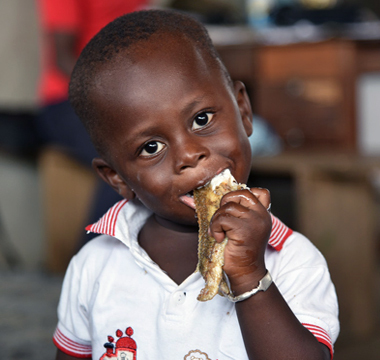 Stunting affects 151 million children under the age of five. 17% of the world’s livestock breeds are at risk of extinction. Just 3 crops – wheat, maize and rice – make up near half the world’s average daily calorie intake. There is more than enough food produced today to feed everyone, yet about 821 million people are chronically undernourished, and malnutrition affects around one in three people on the planet. Among the great challenges the world faces is how to ensure that a growing global population - projected to rise to around 10 billion by 2050 – has enough quality food to meet their nutritional needs for a healthy life. This for a planet experiencing increasing water and land scarcity, soil, land and biodiversity degradation and more frequent and severe weather events. The impact of climate change on agriculture compounds the situation. 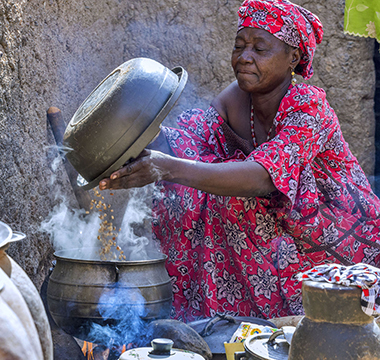 Achieving food security requires an integrated approach that addresses all forms of malnutrition, the productivity and incomes of small-scale food producers, resilience of food systems and the sustainable use of biodiversity and genetic resources. FAO works with governments and partners to promote and monitor food security, nutrition and sustainable agricultural practices for millions of people around the world. The success of the Sustainable Development Goals rests to a large extent on effective monitoring, review and follow-up processes. SDG indicators are the foundation of this new global framework for mutual accountability. FAO is the ‘custodian’ UN agency for 21 indicators, for SDGs 2, 5, 6, 12, 14 and 15 and a contributing agency for four more. We share ONE future. If WE don’t shape it, who will?